Osaka-based game company Capcom makes Resident Evil zombie games. With Resident Evil 5 shipping 5 million copies worldwide, damn skippy that Capcom is going to churn out RE6. 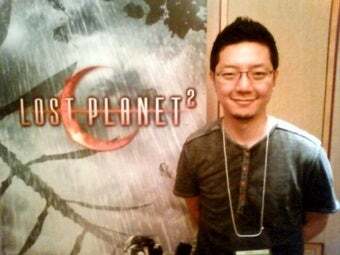 "Honestly", RE5 and Lost Planet 2 producer Jun Takeuchi told Kotaku, "the producer for Resident Evil 6 hasn't been decided yet." Takeuchi has previously expressed interested in a fresh take on the RE series. With Resident Evil 5, he spearheaded the implementation of a dual control scheme that allows players to play with more traditional RE controls or newer, tweaked ones. "I think, while Resident Evil 4 is a great game, its appeal was limited somewhat to maniac players," Takeuchi said. "With RE5, I wanted to bring the series to a larger audience. I think its important to do the same for the next RE." Part of Capcom's plan to bring the franchise to a larger audience includes the Wii Resident Evil titles. Since Resident Evil 5 is coming to the PS3 with wand motion controllers, it would make sense for Capcom to bring the title over to the Nintendo Wii. Wii ports might be possible, but according to Takeuchi, "With the difference between hardware specs for the Wii and the PS3, porting might be hard. We currently have no plans."